The end of elementary school and throughout middle school are important times to spark scientific inquiry and curiosity in students. But a lot of teachers of those age groups are expected to teach multiple subjects and often feel they don't have the tools to teach science well. As Linda Lutton reports for National Public Radio, a science museum in Chicago is trying to help teachers overcome that gap by teaching them how to design and deliver engaging, fun, hands-on science lessons that will get kids excited to keep exploring how the world works. 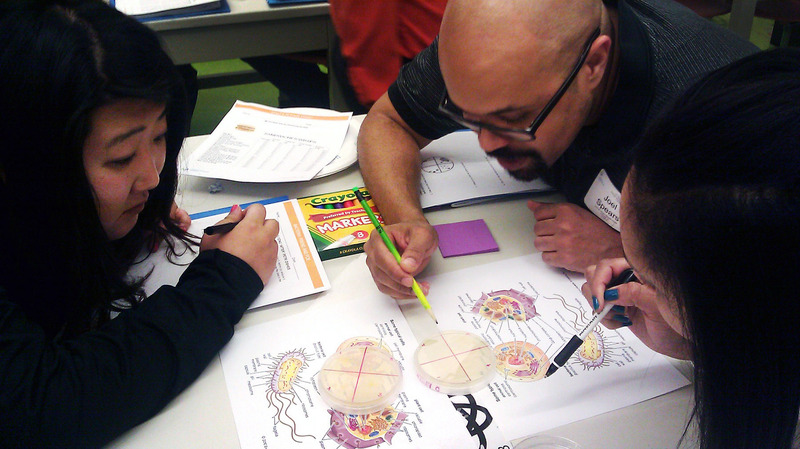 A Scientific Experiment: Field Trips Just For TeachersIn a classroom across from the coal mine exhibit at the Chicago's Museum of Science and Industry, students are huddled around tables, studying petri dishes of bacteria. But these aren't school-age kids - these students are all teachers, responsible for imparting science to upper-elementary or middle-school students.